The addition of the Separating Blade increases the versatility of the Taurus Ring Saw and provides owners with another tool to expand their creative abilities by letting them cut intricate designs, shapes and patterns on the inside of a piece of glass just as quickly and easily as they can cut on the outside. 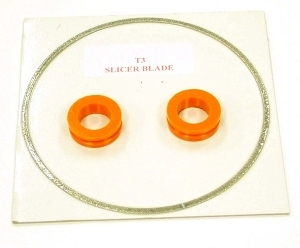 The Separating Blade Kit comes with 2 orange grommets. 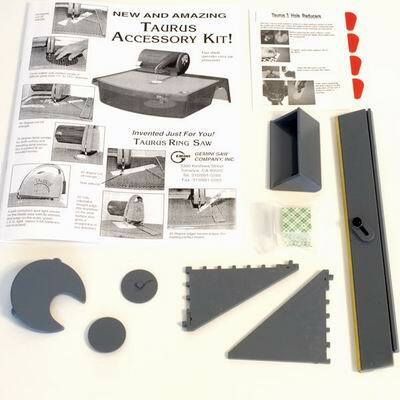 Exclusively for the Taurus 3 and Tile Shaper. 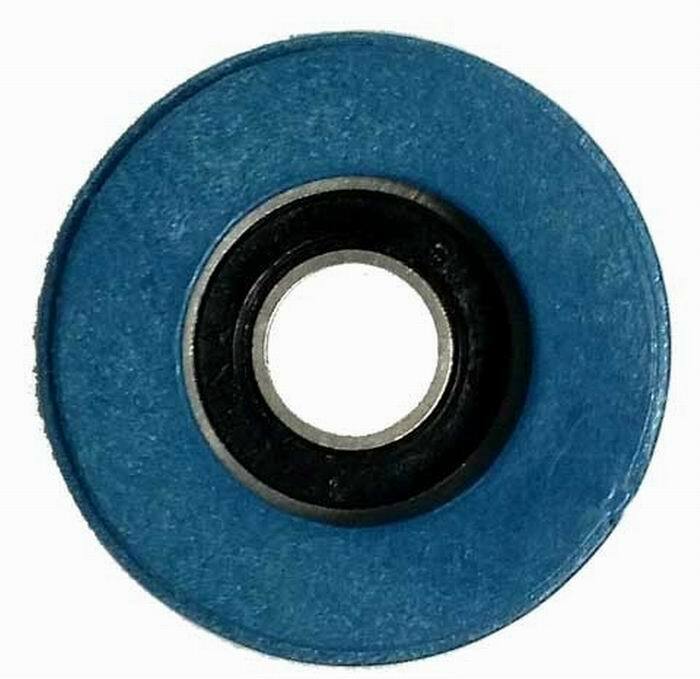 Cuts dense materials such as marble, granite and porcelain up to 1/4 " thick and is extremely durable. 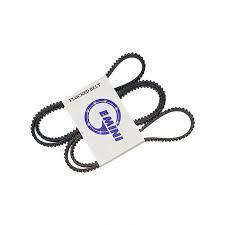 Taurus 3 Ring Saw Blade Stabilizer reduces grommet wear dramatically. 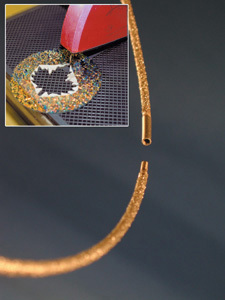 It also gives you more control and stability when cutting thicker material. 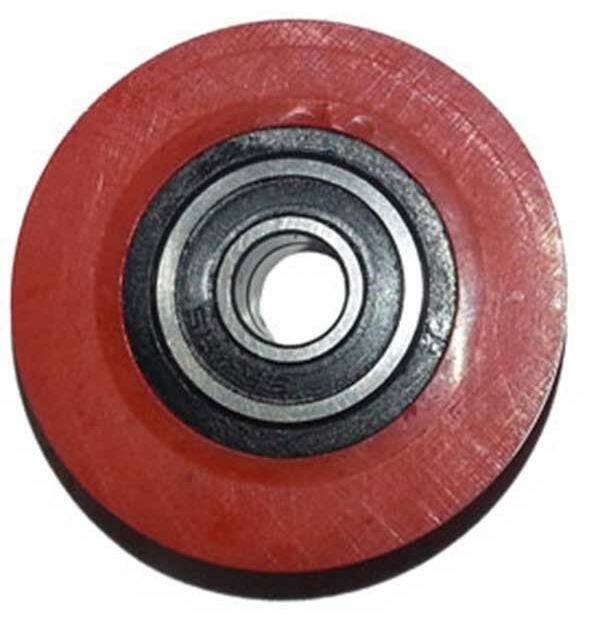 The Stabilizer adjusts easily to accommodate different thickness material. Perfect when using any of the Taurus 3 blades. The Stabilizer will fit all previously produced Taurus 3 Ring Saws without any modifications and it is now included with all new Taurus 3 Ring Saws at no additional cost. Standard Blade for the Taurus 3.0 Ring Saw, comes with a standard blade, grommets to keep the blade in place, and directions. For Ultimate Speed with Your Saw The blade's innovative design uses a narrower profile, making it the most aggressive blade available for the Taurus 3 saw. Cut faster than ever, and with the same precision you are accustomed to with quality Gemini products. 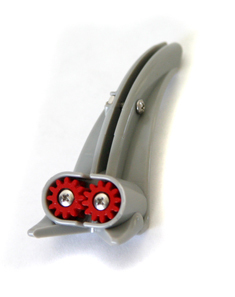 Blade includes grommets and a special heavy duty flocked belt that offers extra reinforcement for use with the Speed Blade or Slicer Blade. 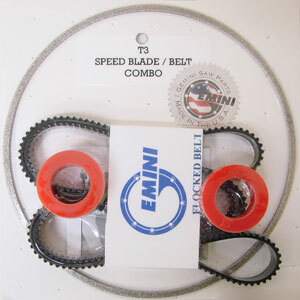 Use this specialized belt to get the best results with your Speed, Mega or Slicer blade.